The city in which I live - Frederiksberg - is currently repaving the streets. It's an ongoing process but I was interested to learn that the asphalt they're using is specially designed to reduce noise from motorized traffic. Which is nice but it's also rather important. I've posted about how traffic kills ten times more people than traffic accidents. Built into the number of deaths are pre-mature deaths from heart disease and high blood pressure caused by the noise of the traffic. The asphalt the city is using has a noise reduction of 5.1 dB, which is a reduction of more than a half. There is little difference in the asphalt if you look at it. The structure of it, however, is more open which allows the noise to travel downwards into the ground instead of only up into the air. 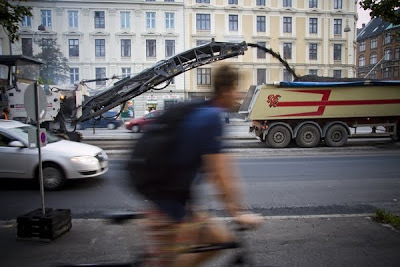 According to the City of Frederiksberg will all 34 km of roads in the city be paved with noise reduction asphalt when the current asphalt needs to be replaced. 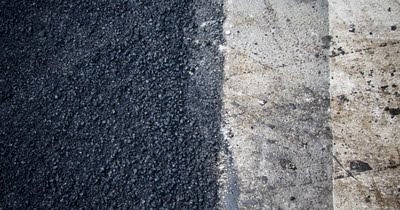 The asphalt lasts for 12-14 years while the noice reduction qualities only lasts roughly six years.